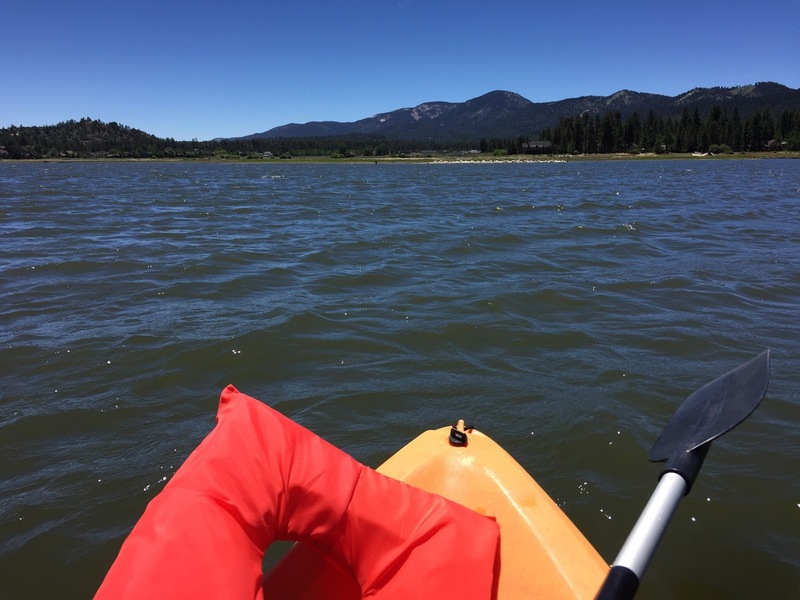 Prior to our trip to Big Bear Lake, I had planned on doing something fun out on the lake. Thanks to Groupon, I found an offer for a four-hour rental of a tandem kayak with GetBoards. Since I was convinced that kayaking during the summer would be a great activity, I went ahead and bought it. 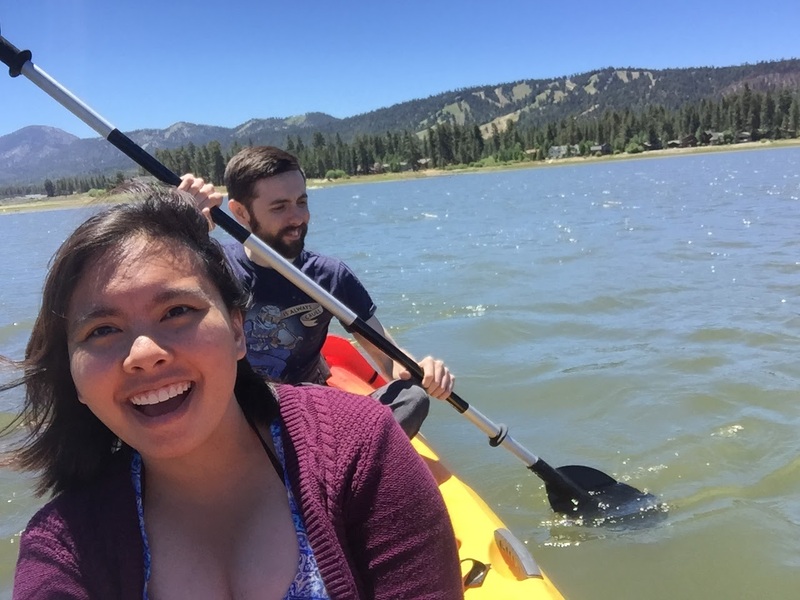 Little secret – we only spent an hour with the kayak out on the lake. For reasons including – it was getting too hot, we were tired and it was a struggle because on our way back to the dock, we were paddling against the wave. In the end though, it was still such a fun activity. We did suffer a few minor sunburns though. Big Bear Lake was beautiful. I found the water a little bit *dirtier* than previous lakes I’ve visited/seen but that doesn’t mean I enjoyed it less. I’m positive though, based on the sole Geology class I’ve taken, that the water isn’t dirty, it’s the floor bed and pretty much everything living in it that gives the water a slightly less appealing color. The place is still really quite beautiful. 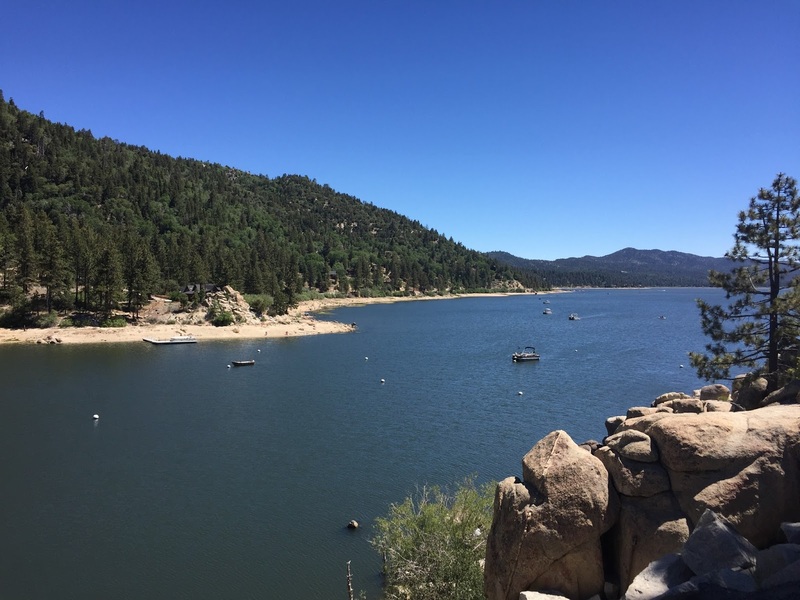 Big Bear Lake has definitely made its way into my short list of happy places. This place is beautiful! Looks like a nice place to kayak. That place looks amazing! I went to the Delaware river and we totally had plans to go on kayaks but the weather was not nice, it was raining and we decided it wasn't the best idea. Hopefully I will get to do it sometime! This kayaking trip looks so super fun and cute! You guys are adorable!